Amy Robsart was the only legitimate child of Sir John Robsart, Lord of the Manor of Syderstone in Norfolk, by Elizabeth the daughter of John Scott of Camberwell (Surrey) - and widow of Roger Appleyard (d.1530), Lord of the Manor of Stanfield, also in Norfolk. By her first husband, Lady Robsart had four children: John, Philip, Anne and Frances; and, to her, the manor of Stanfield was bequeathed, with remainder to her son, John. She died in 1549. Amy was, like her husband, about eighteen at the time of her marriage to Lord Robert Dudley, the future Earl of Leicester. The wedding took place on 4th June 1550 at the Royal palace of Sheen (Richmond) in Surrey. Lady Amy's father settled some property on her just before (May 1650) and, at the same time, a second deed of settlement was signed by both Sir John Robsart and Dudley's father making provision for Dudley. On 4th February 1553, Dudley's father granted Hemsby Manor, near Yarmouth (Norfolk), to "Robert Dudley, Lord Dudley, my son, and the Ladie Amie, his wife." The early days of their married life were apparently spent in Norfolk, where Dudley was prominent in local affairs. He became Joint-Steward of the Manor of Rising and constable of the castle there (7th December 1551); Joint-Commissioner of the Lieutenancy for Norfolk (16th May 1552) and MP for the county in 1553. However, Dudley's father increasingly took him to court, while Lady Amy stayed at home. Here, he began currying favour and acquiring lucrative appointments, as well as property. Upon the death of the young King Edward VI, on 6th July 1553, Dudley aided his father and brothers in their, temporarily successful, attempt to place his sister-in-law, Lady Jane Grey, on the throne. By 26th July, however, the plot had collapsed and Robert was committed to the Tower. He was arraigned, attainted and sentenced to death on 22nd January 1554. During his confinement in the Tower, the now impoverished Lady Amy was allowed to visit him. Her husband was eventually released and pardoned on 18th October at the end of the same year. In 1557, Amy was alone once more, when Robert accompanied his brothers, Ambrose and Henry, to Picardy. He acted as Master of Ordnance to the English army engaged in the Battle of St. Quentin, where his brother, Henry, was killed, and, for his military services, he and his surviving siblings were restored in blood by Act of Parliament (7th March 1558). Thus Lady Amy's prospects were at least partially restored. King Philip is said to have subsequently shown her husband some favour and was employed to carry messages between the Spanish monarch and Queen Mary. Queen Elizabeth's accession gave the Dudleys the opportunity they needed to climb the social ladder once more, for Robert had known the Queen from childhood. On 11th January 1558, he was named Master of the Horse, followed by his being chosen a Knight of the Garter on 23rd April when he was sworn onto the Privy Council. Land grants, mercantile licenses and numerous other appointments followed, including the Lieutenancy of the Forest and Castle of Windsor. The Royal liberality was plainly due to the queen's infatuation for Dudley, of which she made no secret. Despite Lady Amy's inconvenient presence, upon her accession, the Queen had actually contemplated marrying him. As early as April 1559, De Feria, the Spanish Ambassador, declared that it was useless to discuss, as Philip II wished, the Queen's union with the Archduke Charles, seeing that Elizabeth and Dudley were acknowledged lovers. Dudley, at first, seemed willing to entertain the match with the Archduke but, in the following November, he told Norfolk, its chief champion, that no good Englishman would allow the Queen to marry a foreigner. De Quadra, De Feria's successor, reported that the Queen's encouragement of Dudley's "over-preposterous pretensions" so irritated Norfolk and other great noblemen that the murder of both sovereign and favourite had been resolved upon. In January 1560, De Quadra christened Dudley "the King that is to be," and described his growing presumption and the general indignation excited by "the Queen's ruin". 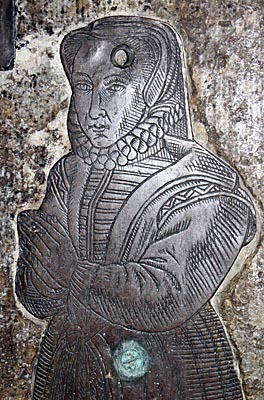 On 13th August 1560, Anne Dowe of Brentford was the first of a long line of offenders to be sent to prison for asserting that Elizabeth was carrying Robert's child. Meanwhile, Lady Amy lived, for the most part, in the country. We shall never know how much of the Court scandal reached her ears or what she thought of her husband's affair. Extant accounts, kept by her husband's stewards, show that, at the beginning of Elizabeth's reign, she was travelling about in Suffolk and Lincolnshire and paid occasional visits to Christchurch, Camberwell, and London. Her most permanent home seems to have been the house of William Hyde at Throcking in Hertfordshire (NOT William Hyde of Denchworth Manor), about ten miles north west of Bishop's Stortford, in Hertfordshire. Dudley's account-books show that he frequently visited Lady Amy at Throcking in 1558 and 1559. She spent large sums on dress, for which her husband's steward paid. A letter addressed, by her, to a tailor named William Edney of Tower Royal, respecting an elaborate costume is still preserved at Longleat House (Wiltshire). Another of her letters, dated 7th August 1559, and addressed to John Flowerdew, Steward of Siderstern, gives, in her husband's name, several detailed directions about the sale of some wool on the Siderstern estate, which had become the joint property of the couple on the death of Amy's father in 1557. The language suggests a perfect understanding between husband and wife. Early in 1560, Lady Amy removed her entourage to Cumnor Place, near Abingdon in Berkshire. Anthony Forster, the chief controller of Dudley's private expenses and a personal friend, rented Cumnor from its owner, William Owen, the son of King Henry VIII's physician. Twelve years later, Forster became MP for Abingdon and purchased Cumnor in the same year. Nothing is historically known to his discredit. 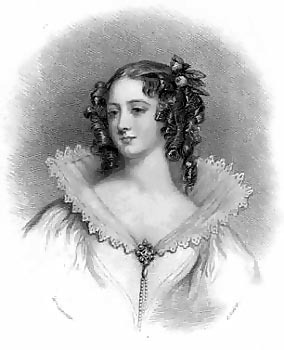 Besides Forster and his wife, Lady Amy found, living at Cumnor, Mrs. Odingsells, Forster's sister-in-law (see below), and Mrs. Owen, William Owen's mother. On Sunday 8th September 1560, Lady Amy is said to have directed that the whole household should visit Abingdon fair. The three ladies declined to go, but only Mrs. Owen dined with Lady Amy. Late in the day, the servants returned from Abingdon and found Dudley's wife lying dead at the foot of the staircase in the hall. She had been playing at tables with the other ladies, it was stated, had suddenly left the room, tripped, fallen downstairs and broken her neck! Robert Dudley heard the news of his wife's death while staying with the Queen at Windsor Castle, and immediately asked a distant relative, Sir Thomas Blount, to visit Cumnor. Blount was instructed to encourage the most stringent public inquiry and to communicate with John Appleyard, Lady Amy's half-brother. All manner of rumours were soon abroad. Mrs. Pinto, Lady Amy's maid, said that she had heard her mistress "pray to God to deliver her from desperation," and, although she tried to remove the impression of suicide which her words excited, Dudley's reported relations with Elizabeth go far to account for Lady Amy's alleged depression. Thomas Lever, a clergyman of Sherburn, wrote to the Privy Council (17th September) of "the grievous and dangerous suspicion and muttering" about Lady Amy's death and it was plainly hinted that Dudley had ordered Anthony Forster to throw Lady Amy down the stairs. On 13th September, Dudley repeated to Blount his anxious need for a thorough and impartial investigation and - according to his own account - began corresponding with one Smith, foreman of the investigating jury. He added that all the jurymen were strangers to him. A verdict of mischance or accidental death was returned. Dudley seems to have suggested that a second jury should continue the inquiry, but nothing followed. On a Friday, probably 20th September Lady Amy's body was removed secretly to Gloucester Hall (now Worcester College), Oxford and, on Sunday, 22nd September, was buried, with the most elaborate heraldic ceremony, in St. Mary's Church there. The Corporation and University attended officially. Dudley was absent, and Margery Norreys the wife of the future Lord Norreys of Rycote acted as chief mourner. John Appleyard was also present. Dr. Francis Babington, one of Dudley's chaplains, preached the sermon and is said to have tripped once and described the lady as "pitifully slain". That Dudley was, as Cecil wrote a few years later, "infamed by his wife's death" is obviously true. If the court gossip, reported by the Spanish Ambassador, is to be credited, Dudley, in his desire to marry the queen, had talked of divorcing or of poisoning his wife many months before she died. De Quadra, indeed, wrote home, at the time that the news of her death reached London (11th September), that "They [ie. the Queen and Dudley] were thinking of destroying Lord Robert's wife. . . . They had given out that she was ill, but she was not ill at all; she was very well and taking care not to be poisoned. . . . The Queen, on her return from hunting [on 4th Sepember], told me that Lord Robert's wife was dead or nearly so, and begged me to say nothing about it." According to this statement Dudley and the Queen conspired to murder Lady Amy, but this terrible charge is wholly uncorroborated. Lady Amy's death undoubtedly removed the chief obstacle to the marriage of the Queen with Dudley, and the influential persons at court, who were determined that Elizabeth should not take this disastrous step, naturally exaggerated the rumours of Dudley's guilt in order to disqualify him from becoming the Royal consort. Throckmorton, the English Ambassador in Paris, frequently reported, to Cecil, that Dudley was universally credited on the Continent with the murder of his wife, but this was Throckmorton's invariable preface to an impassioned protest against the proposed marriage of the Queen with her favourite. On 30th November, the Queen told one of her secretaries that the verdict of the jury left no doubt that Lady Amy had died accidentally and Sir Henry Sidney, Dudley's brother-in-law, in the following January, assured the Spanish Ambassador that the malicious rumours were totally unfounded. Cecil, although no friend to Dudley, came to the conclusion that they could not be supported. In 1567, the charge of murder was revived by John Appleyard, who declared that the jury was bribed but, on being examined by the Privy Council, he made an abject apology and confessed that he had wilfully slandered Dudley because he had been disappointed in not receiving greater gifts from his brother-in-law. In 1584, the story adopted by Sir Walter Scott in 'Kenilworth' was first published in a libel on Dudley usually known as 'Leicester's Commonwealth'. There, Anthony Forster and Sir Richard Verney of Compton Verney in Warwickshire, one of Dudley's private friends, were said to have flung Lady Amy downstairs. But none of the statements in this libel deserve credit. There is no ground for connecting Verney in any way with the tragedy. In spite of the suspicious circumstances of the death, nothing can be historically proved against Dudley. His absence from the inquest and funeral is a point against him. The anxiety expressed in his letters to Blount, that the jury should pursue their investigation to the utmost, at the same time that he was himself writing privately to the jury, is consistent with his guilt. But all the unpleasant rumours prove on examination to be singularly vague and, as with Leicester's unpopularity, appear to have been concocted by his enemies through jealousy of his relationship with the Queen. It is difficult to believe that the alleged murder would have been hushed up when so many persons were so keen to bring Dudley down. The theory of suicide has most in its favour. Heavily Edited from Leslie Stephen's 'Dictionary of National Biography' (1888). Image reproduced by kind permission of Maybole.org. Mrs. Odingsells who resided in the Forster household at Cumnor Place is usually identified as Elizabeth, the daughter of William Hyde Senior of South Denchworth in Berkshire and wife of John Odingsells of Long Itchington in Warwickshire. John was a spendthrift who was forced to mortgage his estates at some unknown date after 1558. Dudley eventually purchased the mortgage in 1572. However, this identification is based on the long held assumption that Amy had previously been living with Elizabeth Odingsells' brother, William Hyde Junior of South Denchworth. This is now known to be untrue, as the William Hyde in question was a different man, from Throcking in Hertfordshire. There is, in fact, a much more likely candidate for Mrs. Odingsells - Anthony Forster's own sister-in-law. Forster's wife, Anne, and her sister, Edith, were the daughters of Reginald Williams of Burghfield in Berkshire (and nieces of John, Baron Williams of Thame). Edith married firstly Edmund Odingsells, John's younger brother. On 13th June 1567, she married for a second time, at Cumnor, to Deodatus Staverton of Eversley Manor, just over the border in Hampshire (a younger son of Richard Staverton of Heathley Hall at Warfield in Berkshire). Deodatus worked for Anthony Browne, Viscount Montague. Like, Anthony Forster, he appears to have had connections with the University in Oxford and it is most likely through this alliance that he met his wife. The couple certainly appear to have resided regularly at Cumnor, within a convenient five miles of the centre of that city; and, though both their wills were dictated in Eversley, Deodatus was buried, at his wife�s discretion, in Cumnor Church. He had, after all, left money for that building�s repair. Edith outlived him by nine years and, though buried in the Williams family vault in Burghfield Church, was commemorated on the couple's memorial brass erected in Cumnor Church. It can still be seen there today. Another sister, Katherine, the wife of Deodatus' brother, Henry Staverton, apparently also lived at Cumnor Place and has a second brass memorial in the church. So Mrs. Edith Odingsells was definitely at Cumnor. Why look elsewhere? Many thanks to Ruth Whiting for first suggesting this identification and bringing to my attention Simon Adams' recent work on the correct identification of William Hyde..